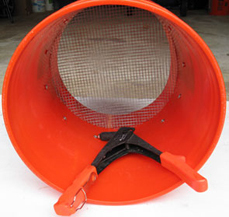 If you are comfortable with destroying the liquid retaining qualities of one of your buckets, you could use one to sift compost. Here is a series of pictures from one of the screeners I made. I used a 1/2″ drill bit to make these holes, but you could choose to go thicker or thinner, depending on what you are screening out. 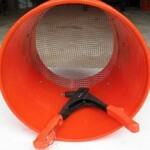 To sift, just shake the bucket up and down or side-to-side using the handle. I find sifting dry soil or compost is easier than sifting wet, chunky blobs – but this is true no matter what type of soil sifter you are using. 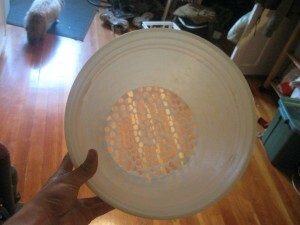 The best part of this design is that you can sift directly into another 5 gallon bucket, with no mess! Update June 2012: A month after posting this, I found a fancier version that needs hardware cloth, but is probably a little bit quicker to make, and might sift better as well. Why not make both and see for yourself! See the full article at skylighter.com. Thanks for the idea! I will try this. 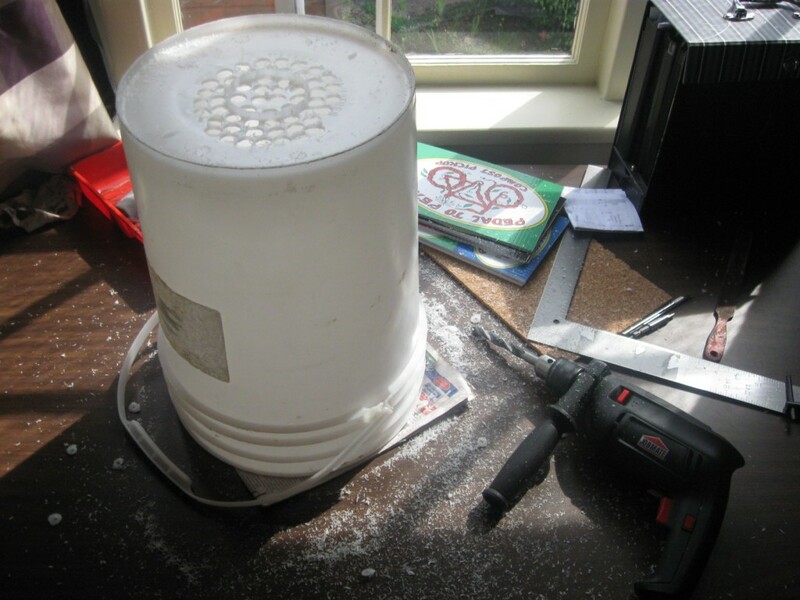 I was going to make a soil sifter with some scrap chicken wire and scrap wood but this requires even less effort! If I were to make another one, I would use larger holes – but compost is somewhat more difficult to sift where I live because it stays very wet and clumpy due to our high rainfall.